So we’re working on our next record and needless to say it has not been easy. This is going to be our first album since the the passing of Trish Chappell, The other T in TN’T(Trish N’ Tom). 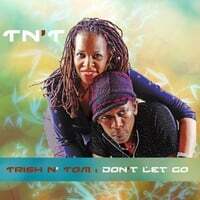 Trish was our lead singer which made her the heart and soul of TN’T or at least fifty percent of the funky duo. That makes recording this record very emotional. Though this is going to be great music I’m not really sure this is going to be an album people will be interested in listening to, but it’s personal. I say this because the subject matter is either directly or indirectly inspired by Trish. It’s not solely about my relationship with her as she was my best friend, soulmate, and wife, but also how she had a positive affect on the lives of everyone she crossed paths. This album will be more than just good music but also a celebration, so we’re hoping music fans all over the world will jump on board. Stay tuned previews coming soon.